“Hard Luck Blues” by Roy Brown And His Mighty Mighty Men hit the top of the US R&B chart. Brown wrote Wynonie Harris’ 1948 hit, “Good Rockin’ Tonight”, which is recognized by many Rock historians as a precursor to the Rock ‘n’ Roll era and was covered by Elvis Presley in 1954. The Platters, B.B. King and Johnny Otis top the bill at a sold out show at the Savoy Ballroom in Hollywood, California. 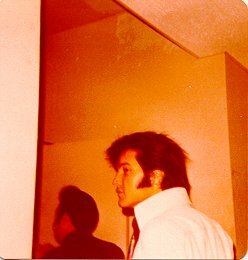 Elvis recorded several takes of Blue Moon at the Sun studio. 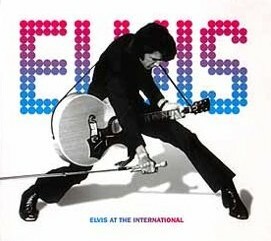 Elvis Presley’s single “Loving You” hit #28 in the U.S. The Highwaymen had the top tune on the Cashbox chart with their million selling version of the African-American spiritual “Michael” (Row the Boat Ashore). The five Wesleyan University students would achieve another hit next year with “Cotton Fields” before splitting in 1964 after eight albums and ten singles. Peter, Paul And Mary perform, “Blowin’ In The Wind” for civil rights marchers in Washington D.C. who had gathered to hear Martin Luther King Jr. speak. 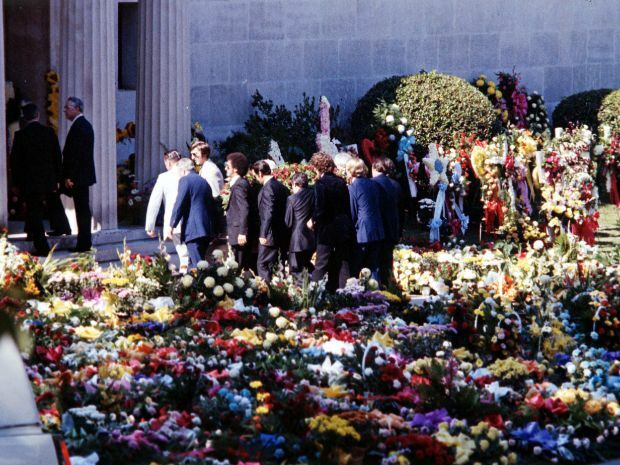 More than six months after their first appearance on The Ed Sullivan Show, The Beatles arrive in California to kick off their first American tour at the 17,000 seat Cow Palace in San Francisco. Playing 12 songs which made up their repertoire for the entire tour: ‘Twist and Shout’, ‘You Can’t Do That’, ‘All My Loving’, ‘She Loves You’, ‘Things We Said Today’, ‘Roll Over Beethoven’, ‘Can’t Buy Me Love’, ‘If I Fell’, ‘I Want to Hold Your Hand’, ‘Boys’, ‘A Hard Day’s Night’, and ‘Long Tall Sally’. Supporting acts were The Righteous Brothers, The Bill Black Combo, The Exciters, and Jackie DeShannon. After a 33 minute concert, John, Paul, Ringo and George were whisked away by ambulance after their limousine was swarmed by fans. Joining them for the entire tour was journalist Ivor Davis, who would later chronicle his experience in the book The Beatles and Me on Tour. While being picketed by local Ku Klux Klan members, The Beatles are on the receiving end of an assassination threat during a concert in Memphis, Tennessee. 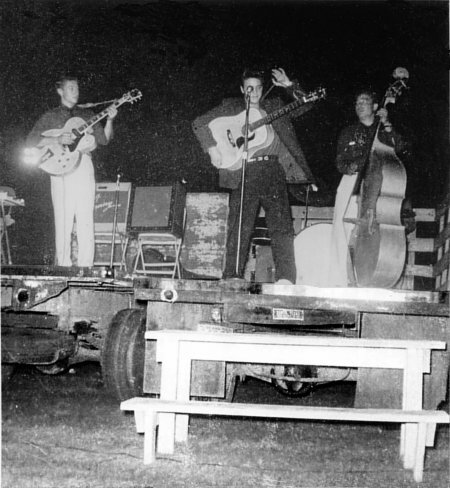 During the second show, a firecracker is thrown on stage, but the band continued to play and the night went on without further incident. The Beatles scored their 14th US No.1 single with ‘All You Need Is Love’. Mick Jagger, Keith Richards, Eric Clapton, Keith Moon, Graham Nash, Marianne Faithfull and Walker Brother Gary Leeds all sang backing vocals on the track. 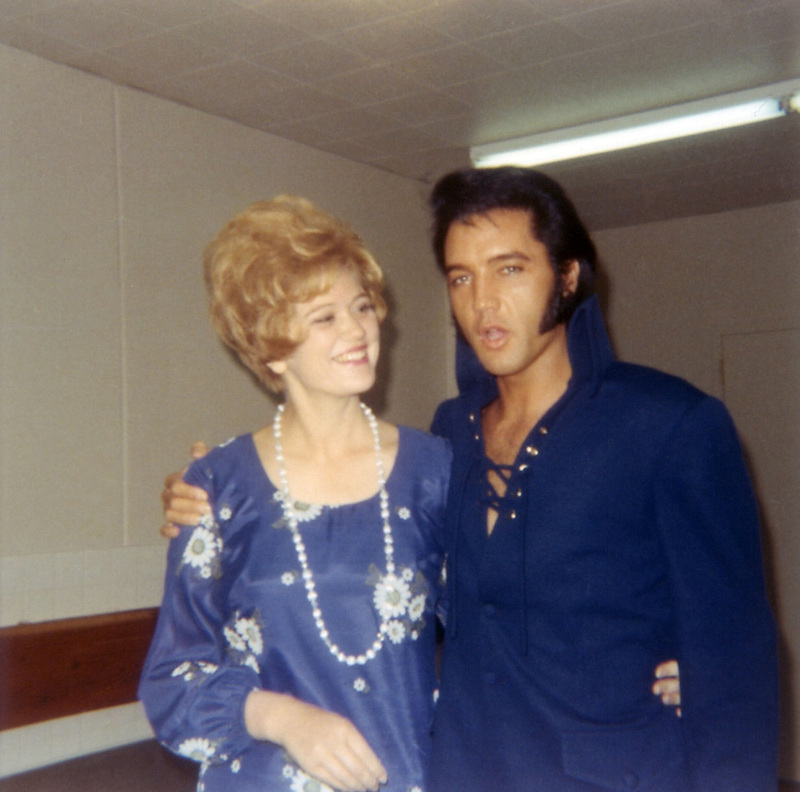 The soundtrack to the Elvis Presley movie “Double Trouble” hit #47 in the U.S. Led Zeppelin kicked off a North American tour at the Pacific Coliseum in Vancouver, Canada. The band played to a sold out crowd of over 17,000 fans, another 3,000 fans outside the venue who didn’t have tickets started a battle with local police. David Bowie played the first of two nights at the Rainbow Theatre in England on his current 182-date Ziggy Stardust world tour. NBC debuted their Rock and Roll TV show Midnight Special, with Wolfman Jack announcing. The first show featured War performing their million selling US hit “Slippin’ Into Darkness”. 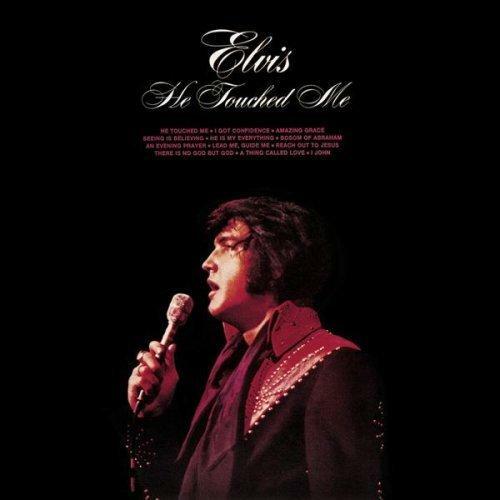 The Elvis Presley gospel album “He Touched Me” hit #38 in the U.K. The movie “Electra Glide in Blue,” starring Robert Blake, Billy Greenbush, Mitch Ryan, and featuring several members of the band Chicago, premiered in New York City. The film was produced and directed by James William Guercio, Chicago’s manager/producer. 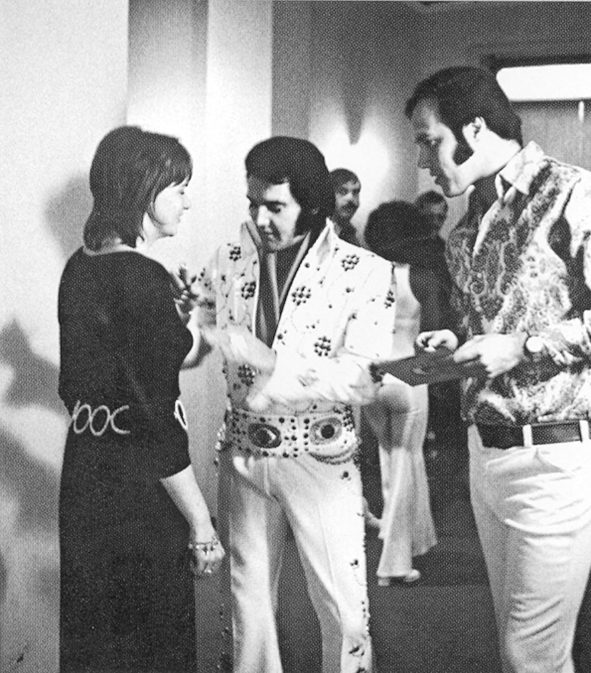 During a demonstration of karate in his suite after the show, Elvis accidentally broke the ankle of on of his guests, Beverly Albrecq. 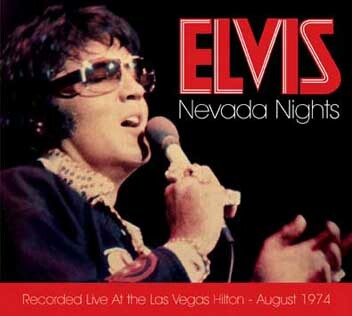 Elvis Presley began his 11th season at the Hilton Hotel in Las Vegas. This opening night had a entire new program and the packed Showroom gave his several standing ovations. After nine weeks at the top of the UK chart, “You’re The One That I Want” by John Travolta and Olivia Newton-John is finally knocked out of first place by The Commodores “Three Times A Lady”. As of 2013, it was still the fifth best-selling single of all time in Great Britain, where it has sold 2 million copies. The album “Elvis – NBC TV Special” hit #50 in the U.K.
American Rockabilly singer Dorsey Burnette died from a heart attack at his home in Canoga Park, California. 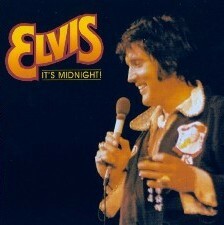 He wrote ‘It’s Late’, a hit for Ricky Nelson and Shakin’ Stevens. After his death, singer and friend Delaney Bramlett organized a benefit concert for Dorsey’s widow at the Forum in Inglewood, California, in which Kris Kristofferson, Hoyt Axton. Tanya Tucker, Glen Campbell, Duane Eddy, Delaney and Bonnie, Gary Busey and Roger Miller appeared. 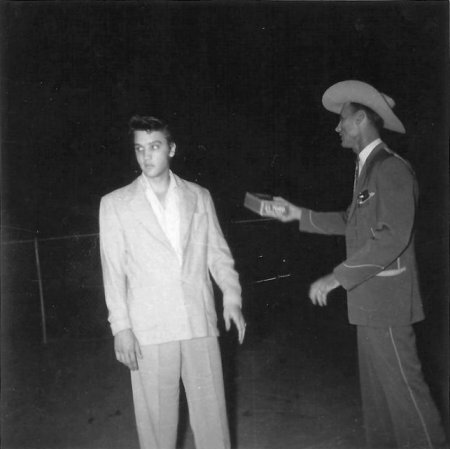 Dorsey Burnette’s pioneering contribution to the genre has been recognized by the Rockabilly Hall of Fame. 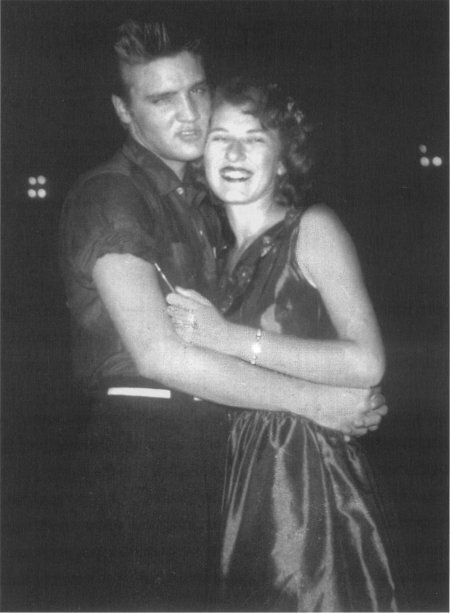 ‘Crazy’ by Patsy Cline and Elvis Presley’s ‘Hound Dog’ were announced as the most played jukebox songs of the first hundred years. The jukebox had been around since 1906, but earlier models had been first seen in 1889. Priscilla Presley won $75,000 in a defamation lawsuit against a man (Currie Grant who introduced them) who claimed they had an affair before she married Elvis Presley. “I am very pleased that I have been vindicated by this judgment” Priscilla said in a statement. Duets with Adele. Squirming on The Graham Norton Show. ELVIS WEEK 2017 – FINAL– EIN exclusive report: ‘C’mon Everybody’ and watch out Memphis because Sanja Meegin, EIN’s roving reporter, is back in the Promised Land once again to give us all the inside scoops on Elvis Week 2017. Today she reports on her final two days in Memphis – before bidding farewell. She meets plenty of famous Elvis friends at Vernon’s house get-together including Billy Smith and Mindi Miller, visits Forest Lawn Cemetery, checks out some fine music with Jamie Aaron Kelly, meets with Elvis’ grandson Ben Keough and does her final visit to the Meditation Garden to say her thanks. What a way to end Elvis Week 2017. 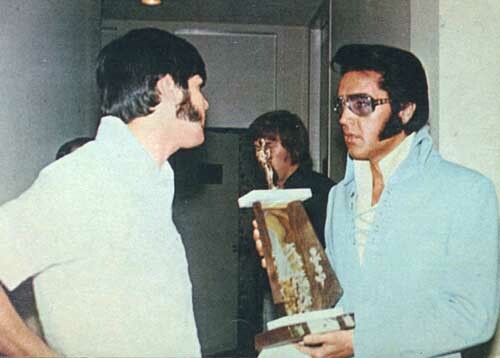 Engelbert Humperdinck was good friends with Elvis Presley. Source: Instagram/OK! 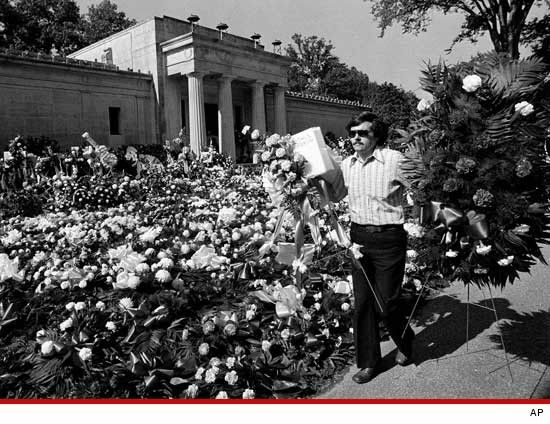 Good Records/Engelbert Humperdinck and Getty.